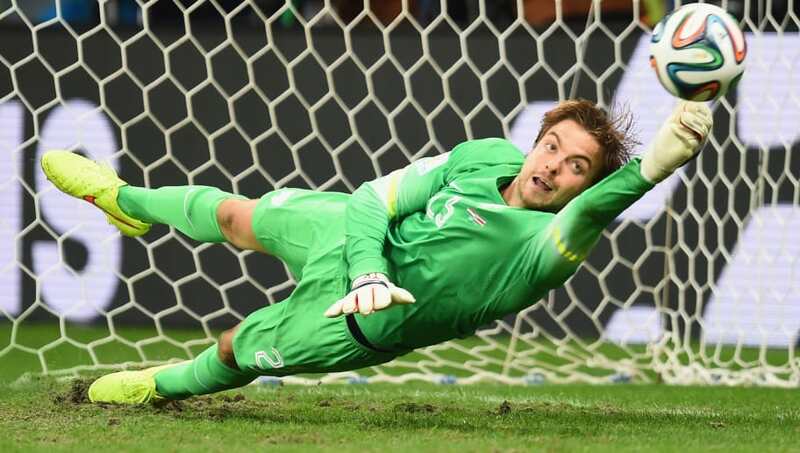 ​​Norwich City have announced the signing of former Newcastle goalkeeper Tim Krul on a free transfer, a signing which has been met with some surprise and will help the Canaries in their bid for promotion. Following the conclusion of Angus Gunn's loan deal and his subsequent signing at ​Southampton, many at the club had accepted that youth goalkeeper Remi Matthews would be given a chance in the first team and were happy with the prospect of the club's own youth products helping the side return to the ​Premier League. But with Krul's arrival, it looks as though the Dutchman will be starting, and Norwich City's hope of a return to the Premier League has become more of a reality. Often one of the biggest problems for the Canaries last season was their individual mistakes, particularly in defence. Goals would be conceded due to silly errors, forcing the team to change their style of play to recover and keeping them one step behind the opposition. Despite Gunn's impressive performances between the sticks last season, which saw him finish third in the Player of the Season awards, it was his first professional competitive season in football. A goalkeeper's authority and experience in goal is essential to giving defenders confidence, something which has clearly been lacking and detrimental to the team's confidence. The arrival of Krul may give the thing that ​Norwich have lacked for some time - confidence. The player has always been associated with his impressive performances at ​Newcastle in the ​Premier League and was famously subbed on in the 120th minute by Netherlands manager Louis van Gaal in the quarter-finals of the 2014 ​World Cup against Costa Rica, solely to take part in the penalty shootout. He made two saves to take his side to the semi-finals. A goalkeeper who is consistent is vital for any side chasing promotion and Krul's confidence in his own ability as a top quality goalkeeper is likely to have an effect on the defenders around him, who know they can comfortably rely on their man between the sticks. His signing also signals the club's desire for a goalkeeper who is comfortable on the ball. On too many occasions last season, Norwich attempted to play out from the back, with the goalkeeper putting himself under too much pressure as he looked for simple, short passes. Manager Daniel Farke knows that if his desire to play out from defence is going to work, he needs a goalkeeper who is comfortable with the ball at his feet. Perhaps Krul has provided an answer to that issue, as his time at the highest level of professional football has required him to have that skill. At 30 years of age and a history of World Cup heroics, Tim Krul provides a sense of security and confidence which Norwich City desperately needs in its defence. The mere fact that the Canaries signed him for free makes him one of the most impressive ​Championship signings so far this summer, and fans of the Norfolk club will be excited to see their new man perform in a season where they will be looking for promotion.